In this short article, you’ll see some of the best trend following ideas to consider in this current market environment. In particular, you’re going to discover some stock picks that have been holding up quite well despite ongoing volatility and weakness in the broader market indices. Sound good? But before we dive into some specific stock trading ideas, let’s take a minute to discuss the rational behind our trend following roadmap. Why Does Relative Strength Matter for Trend Following Traders? Put simply, relative strength measures how well a stock is performing compared to the rest of the market. 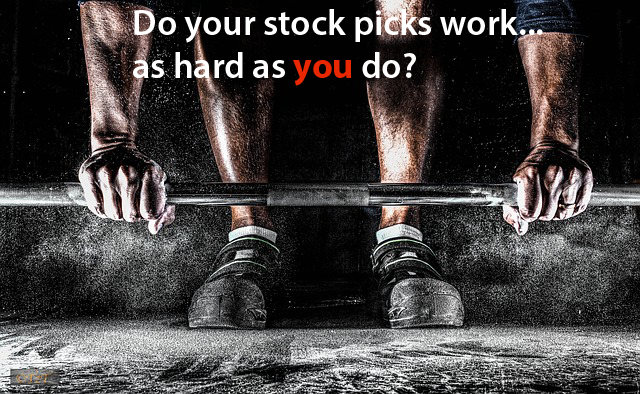 Think of stocks with strong relative strength as the parts of your portfolio you are least likely to sell. These are often high quality ideas with strong growth narratives and conservative valuations. Relative strength can be measured with a relative strength index (RSI), or by comparing a stocks performance to an industry group or the market as a whole. 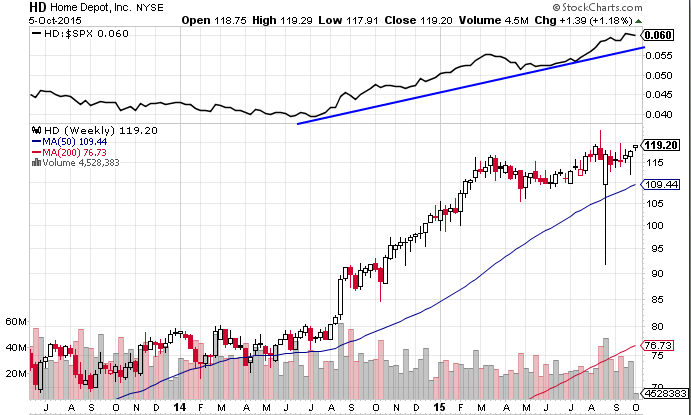 So how should trend followed measure relative strength? Good question. While there’s nothing wrong with using the RSI to find when a particular stock is overbought or oversold, as a trend follower I prefer to plot my stock vs. the S&P-500 index as a whole. I like to see if people are putting more money into my stock picks, or the index as a whole (relatively speaking). This way, you can easily see how your top stock picks are performing against the market as a whole. In times of ongoing market turbulence, this approach is especially valuable. Since you’re familiar with the thinking behind relative strength, let’s look at some top stock picks showing strong performance compared to the market at large. EXPE – the recent market weakness has been shrugged off by high flying EXPE. Notice the strong uptrend in the top pane of the chart below. 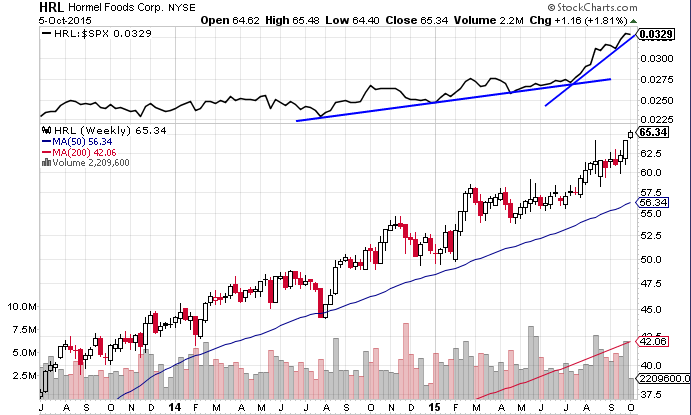 HRL – this boring food company continues to chug along. It’s almost as though this stock is oblivious to the broad market correction we’ve seen this summer. 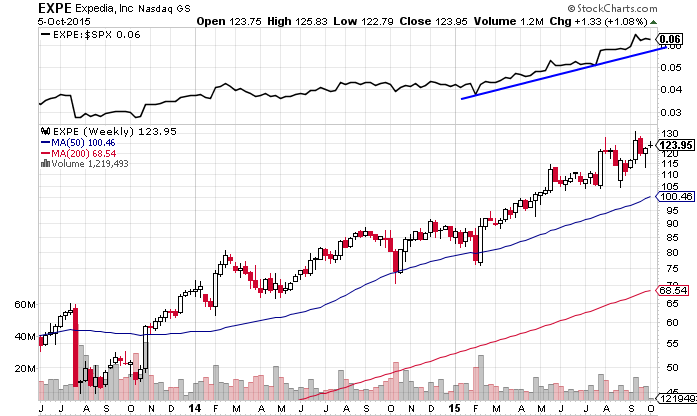 FISV – another steady as she goes stock that doesn’t look bothered by talk of a market correction. By looking at the stock picks above, you’d be surprised to learn the market is negative year-to-date. But that’s the beauty of relative strength. And do you know what the best part is? When the market really gets going to the upside, you can rest assured these relatively strong stocks are likely to lead the way higher. 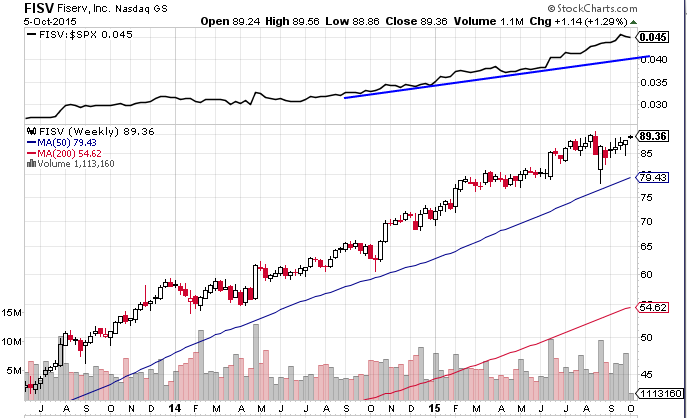 And that’s why trend followers love relative strength. Of course, relative strength isn’t a silver bullet that is guaranteed to work for you every single time. But it’s another valuable tool you can use to stack the odds in your favour. Make sense? When combined with disciplined risk management and vigorous fundamental analysis, you can use these relative strength techniques to help you capture more potential upside. And there’s more good news. Well… you’re welcome to join the wait-list… which means you’ll be the first to know when I reveal my exact entry and exit system for picking breakout stocks. 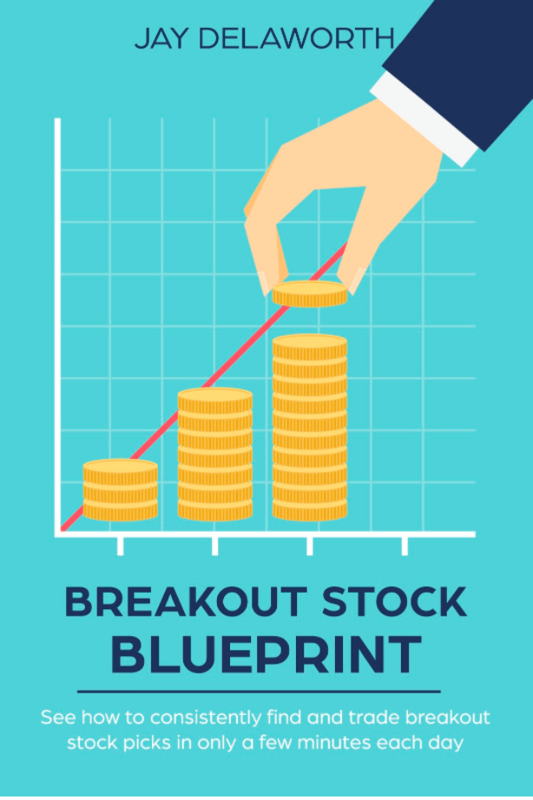 See the Breakout Stock Blueprint details!